If you’re a BigCommerce store owner (especially a new one), you may be so involved in day-to-day operations that you’ve forgotten that they offers a lot of online support for their clients. Before you start going down the Google rabbit trail for the answers to your questions, here are some helpful links to keep you educated, up to date, and sane! Participating in BigCommerce Webinars is a great way to get a high-level look at their key features in a live format. You’ll also have a chance to get answers to questions that are specific to your business. Couldn’t watch the live segment? Check out their archive of webinars to watch at your leisure. They currently have a weekly product tour every Tuesday at 4pm CT, and Thursday at 11am CT, hosted by BigCommerce Sales Engineers. The BigCommerce Community (formerly called Forum) is a place where store owners can ask questions, join discussions, or submit ideas to partners and fellow store owners. 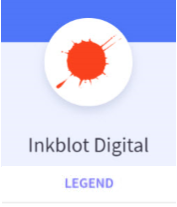 Inkblot Digital actively participates in discussions, often offering free solutions for common issues. Come visit us! Want a bit more in-depth knowledge but don’t want the hassle of reading documentation? BigCommerce University has a library of video courses designed to get you up to speed on a variety of topics covering store launch, store management, and growth. We find that the use of quality product photos continues to be a challenge for many websites we’ve seen. Check out this video on Product Photos that Convert. Get the latest ecommerce news from the BigCommerce Blog, including real-life examples from store owners and industry experts. Most articles can be read in 10-12 minutes. Here’s a great article called “The 8 Must-Follow Business Principles That Drove 832% Growth and $5M in Revenue” by Brent Mauriello of Flexfire LEDs, a BigCommerce business. Still need help but don’t have the time to DIY? Reach out to us on our website — we’re happy to help solve your ecommerce challenges.